IRV is rapidly gaining momentum as a national reform. The nine of the last ten IRV ballot measures to go before voters around the country have won. State legislatures are also getting in on the act, with legislation moving forward in a number of states. 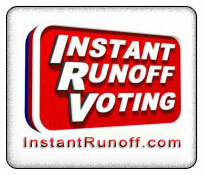 For more information on these efforts visit InstantRunoff.com, a project of FairVote Action. You may also visit campaign websites directly from the links below.